Happy post-Thanksgiving all. Hope you are having a wonderful holiday weekend. Here is some pregame reading prior to Wyoming’s regular-season finale at New Mexico Saturday. Kickoff is at 12:30 p.m. MT, and the game will be televised on AT&T SportsNet. Good start: Wyoming needs to play well from start to finish, but a good start for the team, and in particular redshirt freshman quarterback Tyler Vander Waal, is important. Especially for Vander Waal to get his confidence going and into the flow of the game. We’ve seen this season (last week against Air Force and in the opener at New Mexico State) that when Vander Waal starts well, he plays well through the course of games. Happy Thanksgiving. I hope each and every one of you have a wonderful day and weekend with family and friends. I’ve done this before on this holiday, and for others, but I asked some Wyoming football players and coaches what they were most thankful for and their favorite part of the Thanksgiving meal. Would love to hear yours. Thankful for: My family, to be a part of this team and the University of Wyoming. Thankful for: My family, friends and the support system I have. Food: Mom’s sweet potato pie. Thankful for: This team this year. Some notes and quotes leading up to Wyoming’s football game at Missouri Saturday. Kickoff is at 5 p.m. MT from Faurot Field in Columbia, Missouri. The last of four consecutive home games for Wyoming kicks off at 2 p.m. Saturday against Texas State of the Sun Belt Conference. More offense, less defense: Meaning Wyoming’s offense must do a better job of sustaining drives and finishing with points, which will keep the defense fresher and better equipped to make plays. The defense was on the field for two-thirds of the game last week against Hawaii, and 97 plays two weeks ago against Oregon. Even though the defense has played well for the most part, it can’t be on the field that long game after game. Yes, the defense can help itself by making more plays to get off the field sooner, but it needs more help from the offense. I feel like I’m sounding like a broken record about this No. 1 key the last few weeks. The second half of fall camp for the Cowboys started Monday morning as they practiced in full pads in War Memorial Stadium. Injury-wise, fourth-year coach Craig Bohl said junior tight end Austin Fort of Gillette will have an MRI on his knee Monday. Fort hurt his right knee in a non-contact drill Friday. He watched Monday’s practice wearing a large brace on the knee. Fort and junior Josh Harshman of Casper entered fall camp as tied atop the depth chart, with junior Tyree Mayfield not far behind. Fort played only three offensive snaps last season — his first in making the transition from quarterback to tight end. Players reported Sunday, and the first practice of fall camp for the Wyoming football team is Monday morning. There is no media access to Monday’s practice because UW will have its media day for football at noon Monday. 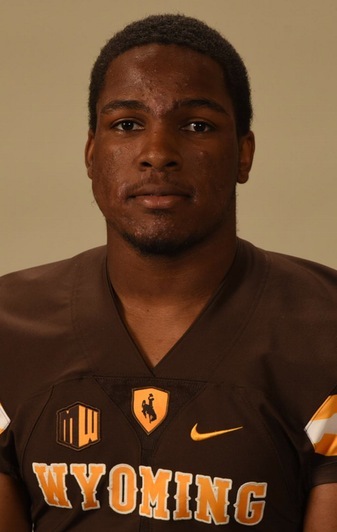 But during the MW Media Summit in Las Vegas I talked to fourth-year coach Craig Bohl and junior safety Andrew Wingard about a few things about the team heading into camp. products are atop the depth chart at tight end in junior Josh Harshman of Casper and junior Austin Fort of Gillette. Junior Tyree Mayfield may be the most talented tight end UW has, but he is listed third on the depth chart entering fall camp. Hall earned one of the two starting jobs at cornerback after spring drills, but junior Antonio Hull and seniors Robert Priester and Rico Gafford have played a lot of football for the Cowboys. “The only position we don’t figure to be a lot of competition (in terms of being the starter) is at quarterback,” said Bohl with a smile when talking about junior quarterback Josh Allen, the preseason MW Offensive Player of the Year voted on by the media. Wyoming first practice of the final week of fall camp was Monday morning in War Memorial Stadium. The Cowboys will practice twice Monday, with the second one at 3:50 p.m.
Monday is the 14th straight day UW has practiced since the start of fall camp, and Monday afternoon’s work out will be its 20th. The Cowboys had their full collection of running backs. Senior Shaun Wick (concussion), sophomore Josh Tapscott (illness) and redshirt freshman Nico Evans (hamstring) all practiced, as did sophomore Brian Hill, who didn’t play in last Saturday’s scrimmage due to a tight hamstring. Here are some highlights from the early portions of practice.